Two crops in the Deep South! Medium-sized berries are high quality with a distinct, excellent flavor. Recommended for Coastal areas and Zones 9 and 10 where the bush is fully evergreen. Hybrid plants are upright, vigorous and productive. In the Deep South, Biloxi will produce two crops! Main crop ripens mid season. Zones 8–10. Zones8-10 Recommended for coastal areas and Zones 9 and 10 where the bush is fully evergreen. FoliageMedium green foliage, turning glossy-reddish in the Fall. Soil RequirementsAcidic, moist soil with lots of organic matter and very sandy. ph 4.5 - 5.5. PruningPrune out leggy small twigs for better berries. PollinatorSelf-fruitful, but cross pollination with other varieties will result in larger berries. CommentsMedium-sized berries are high quality with a distinct, excellent flavor. Recommended for Coastal areas and Zones 9 and 10 where the bush is fully evergreen. Hybrid plants are upright, vigorous and productive. In the Deep South, Biloxi will produce two crops! Main crop ripens mid season. Bareroot. Zones 8-10. YieldYields can be expected to range between 8-10 pounds on a mature plant. 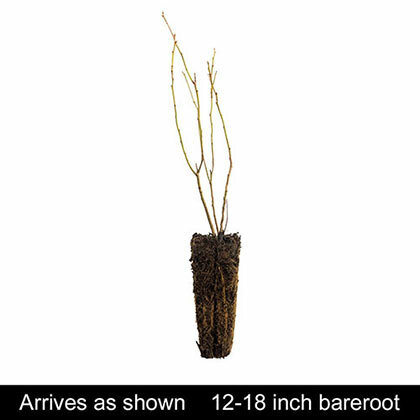 DepthPlant at the same depth as in the nursery. 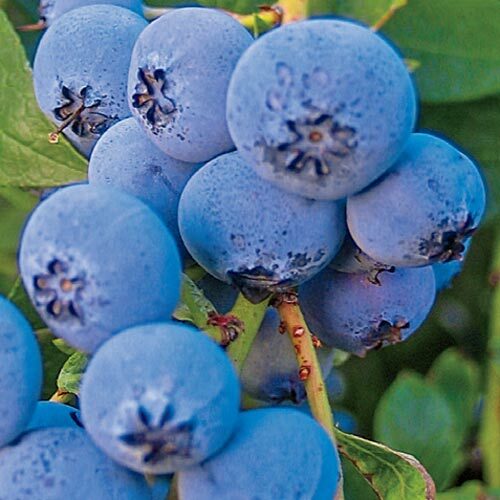 Days To MaturityBlueberry plants may take three to four years to bear fruit.